justthefood.com...the blog: Julie Hasson's Vegan Casseroles: Book Review, a Recipe, and Two Giveaways! Julie Hasson's Vegan Casseroles: Book Review, a Recipe, and Two Giveaways! There are so many vegan cookbooks out now. I have a 3 foot tall stack next to my desk waiting for review. No joke. And I am sure they all have some amazing recipes in them. I mean, I probably wouldn't have bought them otherwise, right? (Well, actually, I think I may have a real problem. I buy way too many vegan cookbooks. I just can't help myself. I need them. I love them. I bring them into the bathtub with me for a romantic read. I whisper sweet nothings to them every night before I go to bed.) 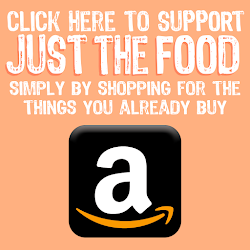 In all seriousness, I love supporting other vegan cookbook authors, and I want them all to be successful. But, every now and again, one comes out that is just knock your socks off unbelievable. One that answers your dreams and prayers. One full of comfort and goodness, and everything I love to eat. 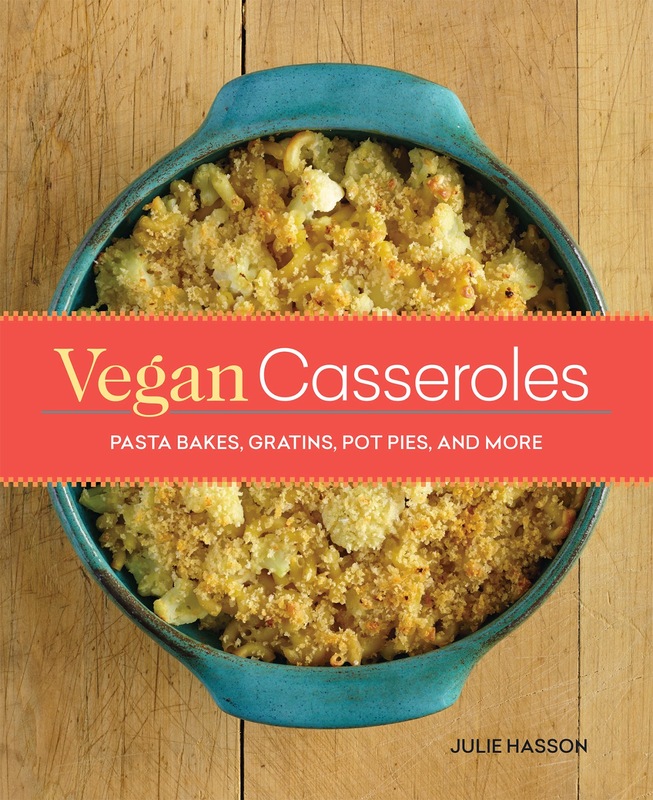 Vegan Casseroles is one of these books. Starting with the cover, you know that you will be in for a treat. I mean, come on, look at it! It's a Truffled Cauliflower Mac Casserole! (It appears on page 101 in case you need it, like, right now.) The cover just whets your appetite for what's to come. A book full of cruelty free goodness that is sure to satisfy every craving for every one-dish-comfort-food you've ever had. So far, my favorite recipe is the Mac and Gravy Casserole on page 90. Because mac. And gravy. And it has a boozy beer variation. I think that pretty much sums it up, no? If I had to make a criticism of this book (because if I only say good things abut it, you guys might think I'm doing a little brown nosing) it would be that I miss having the metric equivalents in the ingredient measures. So often, these days, I measure with my scale instead of my spoons and cups, because it saves time, uses less dishes, and tends to be more accurate. Adding in the metric equivalents would have been a nice touch. I had this book on preorder for ages, and when it finally came, I did my usual perusing to mark the recipes I wanted to try first. But I had to stop because there were more pages marked, than those that weren't. Then the publisher was nice enough to send one over for review, so now I have two! That's lucky for you, because I am going to give one away to one lucky reader. (Yes, this giveaway is open to international readers.) Just go ahead and follow the prompts in the widget below. The publishers are also doing their own giveaway...of a Breville Smart Oven (!!!) which is open to US readers only. Follow the prompts in that widget (at the bottom of the post) as well. And even if you do not win either of the giveaways, you are still a winner because Julie was kind enough to let me share not one but two recipes from her new book. Ever since I was a child, I have adored creamed spinach. This casserole totally reminds me of the stuffed spinach crèpes I would order as a teenager at this little crèpe restaurant near our house. I could never get enough of them. This casserole doesn’t disappoint, with a luscious creamy sauce, spinach, and some dry sherry thrown in for good measure. Gluten-Free: Use a gluten-free oat flour in the sauce and gluten-free pasta (my favorite here is brown rice macaroni). Although this isn’t exactly a true alfredo sauce with loads of cream and butter, it is an all-purpose creamy white sauce, which works really well in so many recipes. There are a number of variations for it, from adding truffle oil to white wine. It’s so versatile, that it may just become your new secret sauce. Transfer the mixture to a large saucepan and place over medium-high heat. Bring the sauce to a simmer, whisking continuously. Once the mixture comes to a simmer, reduce the heat slightly and cook, whisking continuously until thickened, about 5 to 10 minutes. Tip: Use a good-tasting unsweetened soymilk for this sauce, as the flavor really comes through. If you’re using a high-speed blender, you can skip the soaking step for the cashews and just use them dry. Add a little extra water to blend if needed. To make a white wine sauce, replace 3/4 cup of soymilk with an equal amount of white wine. Two magic words drew me to this book. Vegan and casseroles! The alfredo sauce sounds amazing! Must try. I made up one recently that we really loved. Polenta and nachos and called it polachos. Made polenta, spread it on the bottom of a casserole dish, layered it with tvp chorizo (from you - Hearty Vegan) and veggies and cheese sauce. So good! I love casseroles, especially in the fall & winter months. They're so comforting. In my pre-veg days, I used to love stouffer's turkey tetrazzini, My mom used to make it for company a lot when I was a kid. She'd put it in a big casserole dish and then pass it off as her own, lol! I loved it though. I really need to make a vegan version. I haven't had it in years. I love casseroles! This book sounds and looks awesome and I just love Julie Hasson! My favorite casserole is a baked vegan mac and cheese with broccoli! Comfort food awesomeness. I am looking forward to trying the Moroccan Vegetable Stew. This Creamy Spinach Florentine looks amazing; can't wait to try that first! Again, thank you for the generous giveaways! Hmmm...thought I posted this already: Years ago, I veganized a casserole from Cooking Light and it became my favorite. I wrote a post a while back called "Fall Harvest" that includes the recipe. Basically, it's a pasta casserole with a roux-based cream sauce, spices, parsnips, and butternut squash. Thank you for the giveaway! My favorite casserole is a huge vegan gratin full of veggies (brocoli, carrots, spinach, cauliflower). Ohhhh yeahhh...another one. It is kind of a vegetable lasagna. I replace pasta with layers of grilled eggplants and zucchinis. Yummm !!! It is sooo comforting. Mac & Cheese of some plant-based variety, possibly with mix-ins. YUM!!! Shepherds pie is probably our most go to casserole. I have never quite mastered the art of turning my favourite childhood casseroles into vegan-friendly versions. But now the weather is getting cold outside again, it might be a good time to give it another try with Julie's book! Comment didn't appear, so I'll post it again. My favorite casserole is vegan and gluten free dressing with Vegan Diner gravy over the top. Absolutely delicious. i still love the chickpea and broccoli casserole from vegan with a vengeance. so yummy! My favorite is dreena Burton's tortilla casserole with beans and avocado. I also loved the casserole chapter in Betty Goes Vegan. And Breakfast casseroles (like robin robertsons savory bread pudding) are perhaps my favorite of all! If there's a tater tot casserole, that would be the first one I'd try. Shepherds pie is my go to casserole, but I would love to try some different recipes out. This book is on my must-buy list. Everything I've seen from it looks amazing. I've cooked almost everything from Julie's other books and I expect this one would be no exception. My favorite casserole? It'd be a toss-up between mac & cheese (the casserole version I grew up with) and my best friend's recipe for a casserole with noodles, spinach, feta, egg, etc. I haven't made that one in a while because it's not vegan, but I'm looking forward to getting inspiration from this cookbook that might help me to veganize it! This book sounds amazing! 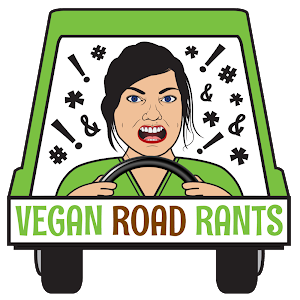 I'm trying to coach my husband on becoming more of a plant-based eater, and all of these sounds right up his alley. He loves shepherd's pie, but a mac-and-cheese type casserole or veggie pot pie would be awesome too! I don't have a favorite casserole because I haven't made them in ages. My kids are all grown up. I would like to make Hamburger Helper stroganoff. The one with potatoes. For some reason, my kids loved that stuff and I used TVP in place of meat, but it needs a good sauce. 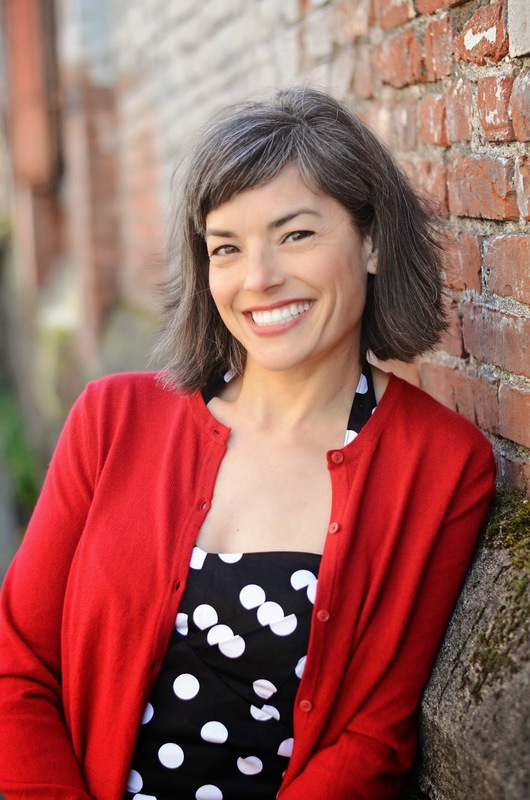 I love Julie Hasson's EveryDayDish shows and have her Vegan Diner book. Many of her recipes are in my regular rotation. I'm sure this book will be another winner. Has to be pasta bake with a cauliflower based sauce rather than bechamel. Amazing healthy substitute! There is a potato casserole in Garden of Vegan that I really like. However, anything with potatoes or pasta and TVP (true) pleases me. I love the Pumpkin Baked Ziti from Veganomicon! Vegan Shepard's Pie is my favorite casserole. I don't use a specific recipe. Just make some gravy, mix in cooked lentils and some veggies, top with mashed potatoes and bake. YUM! My favourite casserole is shepherds pie made with a lentil filling and a mix of regular potatoes and sweet potatoes for the topping. 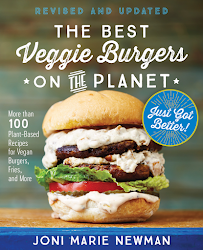 I love Vegan Diner and Vegan Pizza so this book is definitely on my wish list. I think I have all the ingredients so I might have to try that Florentine this weekend, looks good! 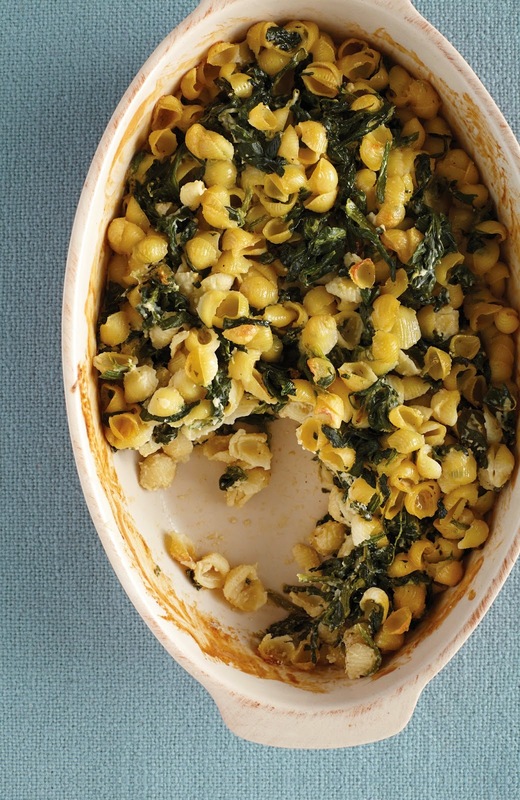 This Creamy Spinach Florentine casserole looks great! I'd love to try the Creamy Spinach Florentine casserole; until then, my favorite vegan casserole is my own Vegan Tamale Pie, with beans, tempeh, veggies, and a vegan cornbread top. One of my favorite casseroles is ravioli with red sauce. I eat casseroles all year round, but it's finally becoming autumnal around here and I feel the need to fire up the oven for casseroles and fruit crisps. First up is the always classic tater tot casserole. Everything is better with tots. The pot pie from Voluptuous Vegan is definitely one of my favorites. Thanks for including international folks! Macaroni and vegan cheese with broccoli casserole would be divine! Ultimate comfort food!